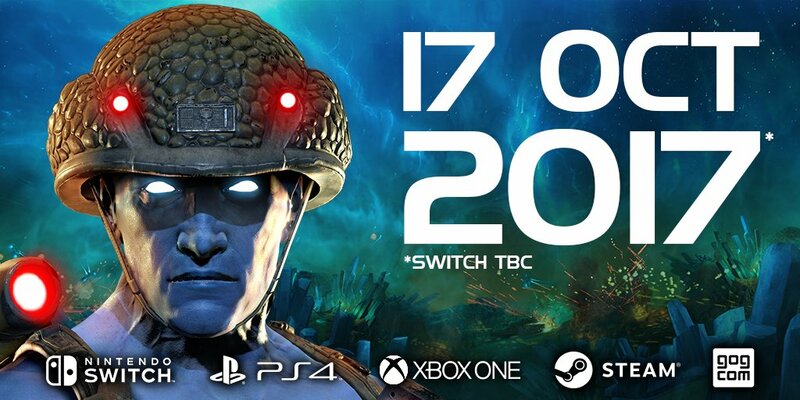 I see that Rebellion are to start work on a remastered version of 2006's Rogue Trooper a game that I myself think is fantastic so I'm super excited hearing this news, I'm also hearing that its coming out on PS4 Xbox One & Nintendo Switch with a release date yet to be revealed but with E3 next month maybe we'll find out a bit more about the game. We'll have 'Super Mario Odyssey' on Oct 27th anyway, Rogue wouldn't have got a look in as soon as I started playing that. Playing it now on PS4. No trophy support? False alarm - sort of. A trophy or three have definitely popped, but I'm buggered if I can actually find the trophy list anywhere on the PS4. Might be the trophies are handled on the PSN server-side, so that stuff will be properly activated at launch? Hope so, I am looking forward to trying aiming for all the achievements on this, just because it'll give me some new ways to play it and things to try. Yay! Would be up for trying the multiplayer on this at some point if anyone is playing on XB1 (I'm Superbeasto on Xbox Live if anyone wants to add)! It most definitely has trophies - I have earned several already! Dammit, but I have no staying power. I stayed up for online midnight launch and played it until 2am. I played right up until all three biochip buddies were installed, and then decided to pick it back up later today. I am a bit bleary eyed as we speak. There, gripe done. The rest is awesome!! Definitely the same game, but a lovely upgrade in graphics! It is a very welcome return to Nu Earth indeed. Loving it! PS - I've been humming the theme tune all morning! Oh yeah, I forget how great that theme is! Now I want to install it immediately. Love it. It is the first time I have played on the Switch so still need to get acquainted with the controller but the game is great. I remember the story and the actions from the PS2 version. Still really like the way you can aim grenades and mines and the sniping is sweet. Agree that the auto hide behind feature gets a bit sticky at times to get out of and would prefer a button for this.